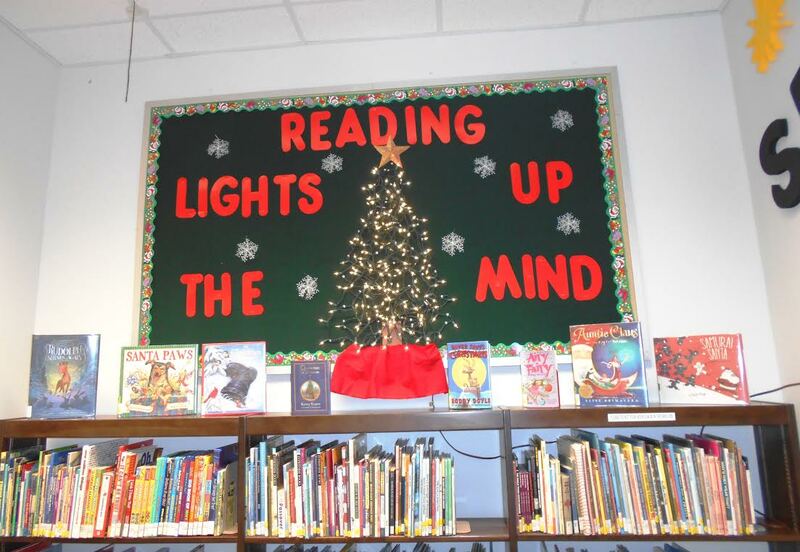 The Town and Country Garden Club places a tree in the library every year and this is their tree this year. 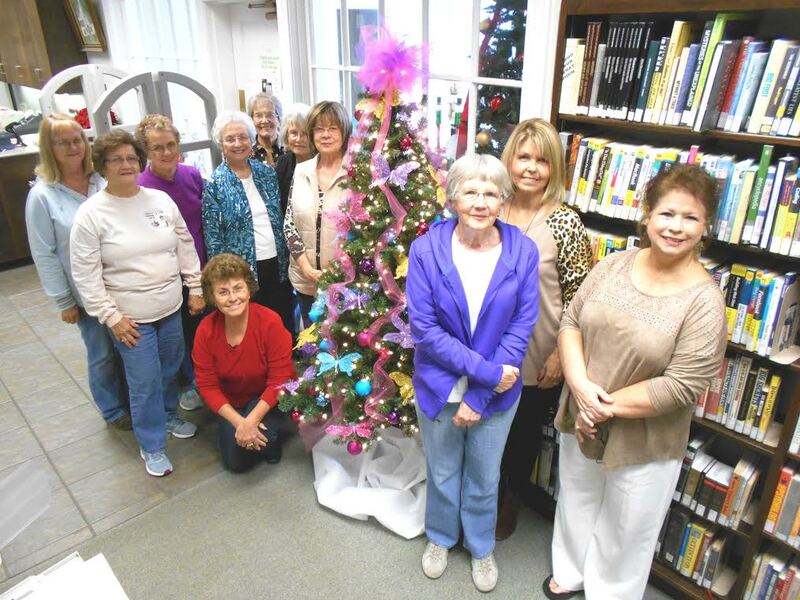 Club members are (l-r) Sandra Culwell; Frances Ball, secretary; Vale Tabor; Elaine Crowson; Nonine Keene, club historian; Teresa Ellis; Shirley Hawkins, Dale Shumaker, treasurer ; Debbie Moody, president; Diane Dempsey; and Brenda Jowers (kneeling). Bulletin board in the children’s room – it has an actual lit Christmas tree on it!